Home BOLLYWOOD Katrina Kaif’s Closeness With Salman Khan Is A Revenge On Ranbir Kapoor? Katrina Kaif’s Closeness With Salman Khan Is A Revenge On Ranbir Kapoor? [tps_footer]It seems the season of ex-couples reuniting once again has arrived in Bollywood industry. Several Bollywood couples who took the road of spiltsville, have not let their personal life come their way professionally. 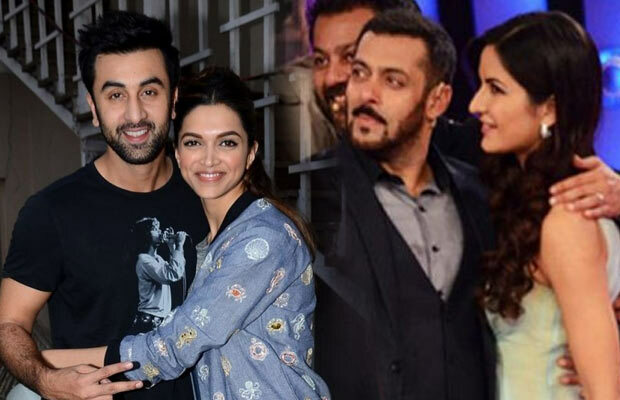 Perhaps, the recent better example of ex-couples having no qualms and sharing beautiful chemistry even after break up is of Ranbir Kapoor– Deepika Padukone and Salman Khan– Katrina Kaif. 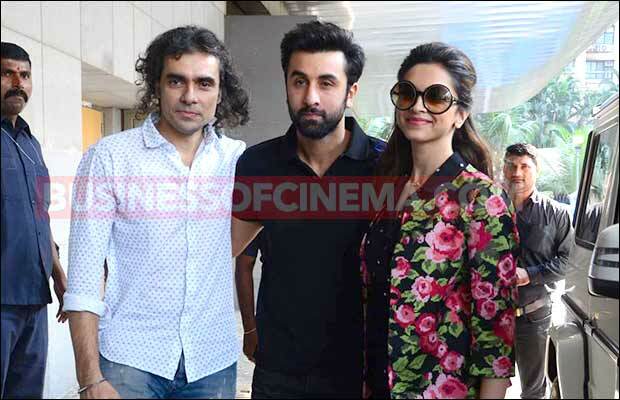 The chemistry was very much evident when ex-lovers Ranbir Kapoor and Deepika Padukone came together for the promotions of their last film ‘Tamasha‘. From hugging each other to getting cozy while posing for the shutterbugs, Ranbir and Deepika made everyone remember about their past love. Also, speculations started taking rounds, that their closeness had created a problem in Ranbir and Katrina Kaif‘s love life. Well, now that Katrina Kaif and Ranbir Kapoor have reportedly parted their ways, we also see a comeback of ex-couple Katrina and Salman Khan. Recently, during Bigg Boss 9 finale, Salman and Katrina left everyone stunned as they appeared together after a very long time. It was the right time for Katrina Kaif to return the same pain? Moreover anything the duo came together, just after Ranbir and Katrina parted their ways. Katrina Kaif who had always kept her private life away from media, didn’t get awkward while sharing the moment with Salman on Bigg Boss 9. The actress was all surprised and blushing while Salman complimented her. Not only that, Salman also enacted a romantic scene from Fitoor with Katrina Kaif, which left her blushing red. Can we say Katrina Kaif’s close bonding with Salman Khan once again is just because Ranbir took the same step while promoting Tamasha with ex-beau Deepika Padukone? The ‘Bang Bang’ actress took the opportunity to make Ranbir jealous as they have broken up now and that this could be the best revenge? Previous article2016’s Biggest Battle Between Salman Khan, Shah Rukh Khan And Aamir Khan!